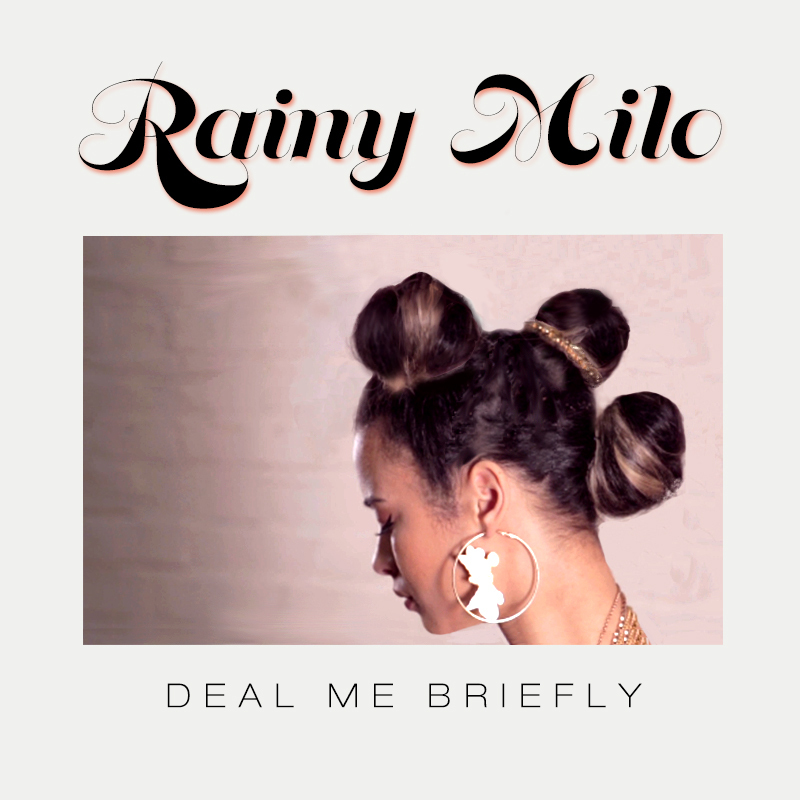 South London’s freshest alternative r’n’b artist, Rainy Milo, gets ready to release her new single ‘Deal Me Briefly’ on August 5th. At just 17 years of age Rainy Milo writes from the heart about teenage life in London, penning lyrics on busses and trains, scouring beats off the internet and writing her lyrics and melodies around them. She has a natural affinity with the rootsy sounds of south-east London where she was born and raised with her Guyanese mother and British father. Her vocals are distinct, honeyed and soulful, but it’s her stage presence that is most beguiling; she slinks and winds with the aura of someone many years older. A firm believer that giving music early on for free is a good thing, she kept posting onto what’s now two healthy Soundcloud and YouTube channels full of her early work, and seemingly this has done her well -the songs from Milo’s ‘Limey Ep’ was downloaded over 200,000 times worldwide, and more recently Bankrobber (a cover of The Clash’s famous song) has gained 14k views on Youtube over the past few weeks.